One of my favorite things about back-to-school is that I get to read some of my favorite books to a new group of students. There are so many great ones out there, that I often have a difficult time narrowing it down. Wemberly Worried is the perfect book to acknowledge how worrisome the first day of school can be for students. 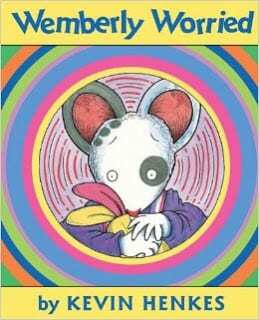 Poor Wemberly worries about everything, and the examples Kevin Henkes provides really strike a chord with students. I find that this book gives students a great opportunity to share their concerns about starting a new school year, which really helps lower anxieties! 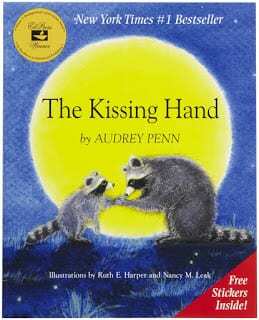 Chester Raccoon of The Kissing Hand doesn’t want to leave his mother to go to school, just like so many students. After a summer at home with family, the separation can be really difficult for some students. This adorable story helps students ease anxieties by realizing they can remember the warmth of their family’s love while at school. I love this story! The Name Jar‘s Unhei has recently moved from Korea, and is anxious about people mispronouncing her name in her new school (as if the first day isn’t hard enough!) 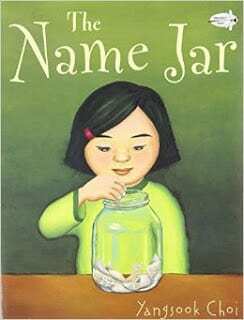 She informs her classmates that she has not yet chosen a name, and they eagerly offer their suggestions in the name jar. SPOILER ALERT: With the support of a classmate, the name jar disappears and Unhei is able to realize the special meaning of her name and share it with her peers. Whether you teach ELLs or not, this book is perfect for acknowledging that students can feel anxious about appearing different, and helps facilitate a conversation about understanding and celebrating those differences. Students often come to school with worries about making mistakes. I see it especially on those first few days… you know which students I’m talking about. They could easily create a hole in their paper with the amount of erasing! Their anxieties about creating the “perfect” finished product can overwhelm them. 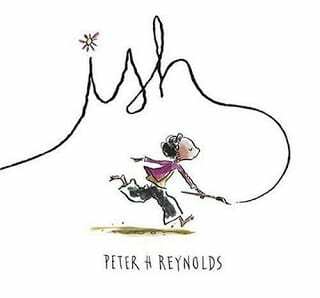 Ish is one of those books that really helps students value creativity, and not worry as much about exactitude. I also enjoy talking about how the words of Ramon’s brother and sister have a powerful impact on how he perceives his work, both positively and negatively. 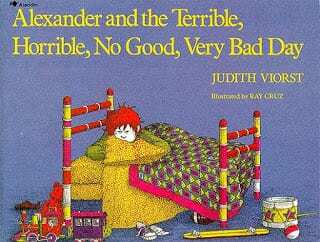 Alexander and the Terrible, Horrible, No Good, Very Bad Day is a great way to acknowledge that we all have bad days. Some days feel like EVERYTHING goes wrong and EVERYONE is out to get you. Although it is not necessarily true, it is important to acknowledge that students will feel this way, and discuss strategies for dealing with days like these. Community building is a critical component to your first weeks of school. The environment that you create in those first weeks will be the glue that holds your class together throughout the year. The friendships you help create, the understanding and celebrating of one another’s differences, and empathy you help instill will carry with them! Gerald is one of a kind, but when he is teased for his dancing skills, Gerald feels left out and starts to get down on himself. Thankfully, the encouraging words of a cricket help Gerald realize his individuality is what makes him special, allowing him to feel free to dance to his own song. 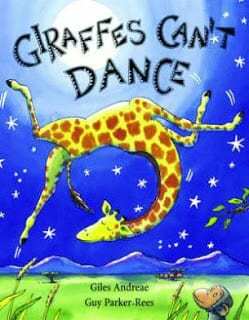 Giraffes Can’t Dance is a great book to help students look at what makes them special, and then help students recognize those special qualities in one another. 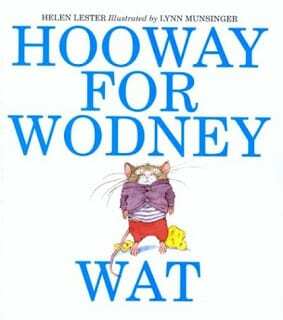 Hooway For Wodney Wat is another way to examine differences, in this case a significant speech impediment. Rodney Rat’s classmates incessantly tease him because he cannot say his R’s. However, when Camilla Capybara joins the class, everyone is scared of her. In the end, it’s Rodney’s way of pronouncing words that saves the day for his students, and they are able to celebrate his differences. I haven’t found many other read alouds where the main character struggles with articulation, which is a huge plus for me. I feel that this book allows us to have meaningful discussions about how we all may struggle with certain things in and out of school, but we are all here to support and encourage one another. I love using read alouds to help establish rules and set expectations. There are so many great books that provide concrete examples for students about why rules are important, and some even lend themselves to having students help create the rules! Okay, this book is such a great way to reach those students who think, “Well, I don’t really have to follow the rules.” (I immediately think about the student who doesn’t put the books back in the right place, or those that don’t put the caps back on the markers!) If Everybody Did really explains why everyone in a community needs to follow the rules ALL OF THE TIME with a good dose of humor to make it go down easier! 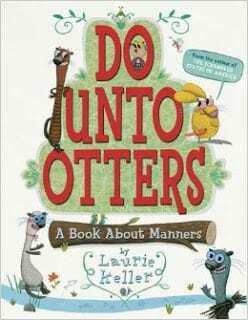 Do Unto Otters is a hilarious book about the “Golden Rule” and how manners are a great tool to making and keeping friends. My kids love it, and love coming up examples of how they would like to be treated by others in their classroom community. 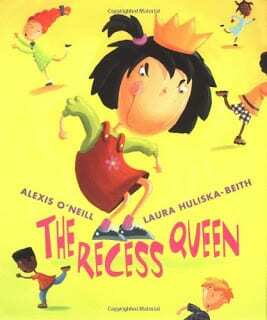 The Recess Queen really gets to the power of kindness and friendship… even when the new friend may be the mostly unlikely candidate (i.e. the schoolyard bully). I like how students respond to the character of Mean Jean, and the expectations they can extract from that example. I also love what students are able to extract from Katie Sue’s actions! It’s a definite keeper! 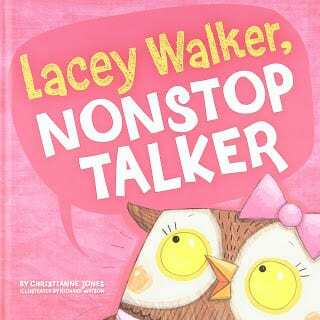 Lacey Walker Non-Stop Talker is a great way to address the incessant chatting that can plague a classroom. I love how it highlights the power of LISTENING, and students can recognize how much they can learn from each other if they take some time to be quiet and listen! 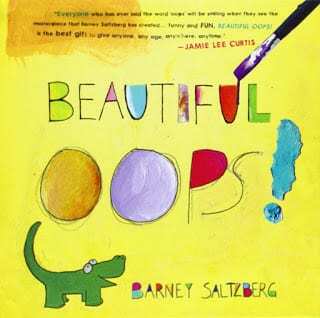 Beautiful Oops is my go-to book to teach students how to push through mistakes. Every mistake is an opportunity to make something beautiful, and students LOVE looking at the creative examples Barney Saltzberg. 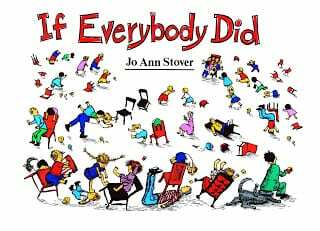 I constantly refer to this book throughout the year, and so do my students! I LOVE IT! 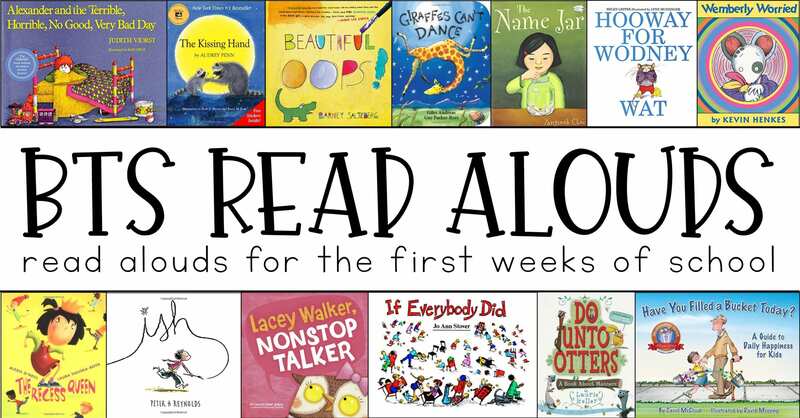 I hope you enjoyed the review of my favorite BTS Read Alouds. What are some of your favorite books to read to your students during BTS Season? Good post. I learn something totally new and challenging on websites I stumbleupon every day. It's always useful to read through articles from other writers and practice something from their websites. Excellent post Jillian. 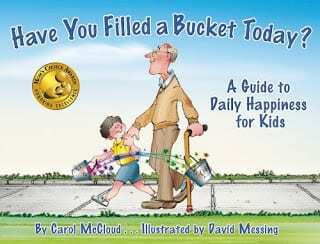 Great read aloud books. Thanks you so much for this wonderful list of books. I want to add them All to my library. Can’t wait to start reading them. 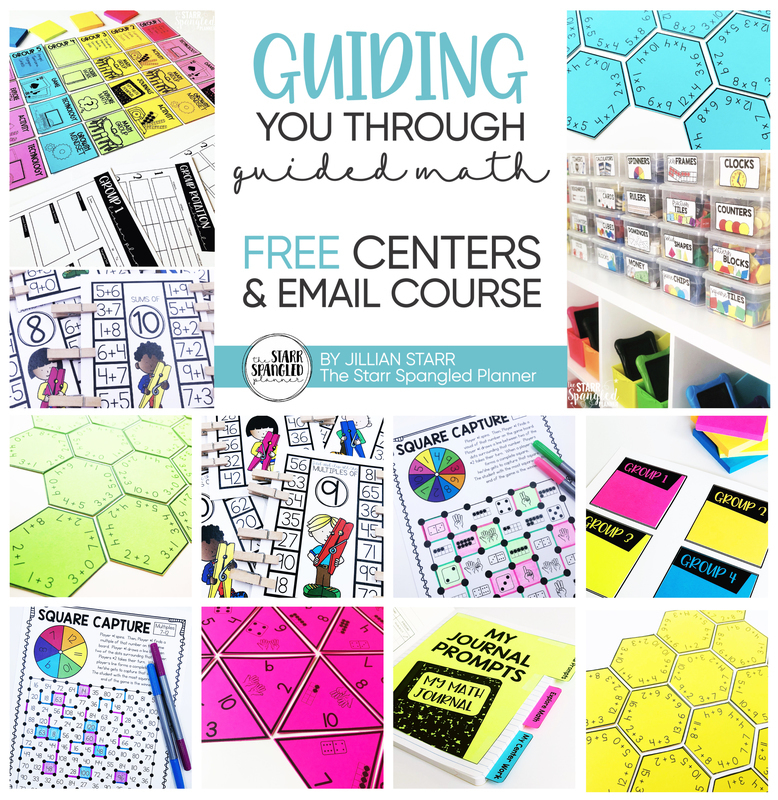 What a great post and list of books to build a community! Thank you!